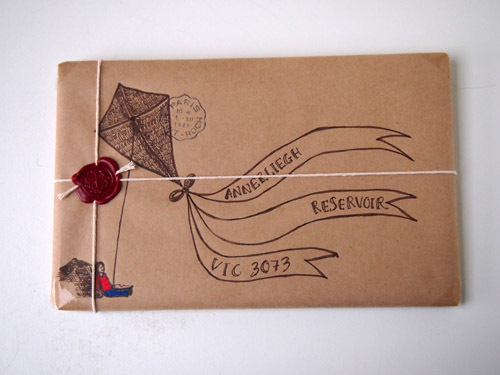 A little while ago I promised to post copies of my novella, Airmail, to anyone who subscribed to my blog, until the "party box" I have sitting in my home ran out. 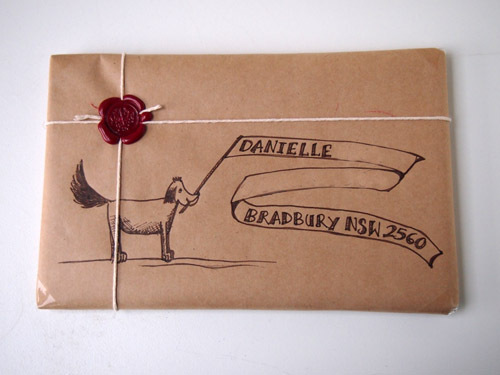 Lately I've been having all kinds of fun drawing little pictures on the book-packages before I send them out. Here's what I'm popping in the mail this week. UPDATE 2017: Unfortunately I no longer have copies of this book to send out, but I do host other mail projects throughout the year. 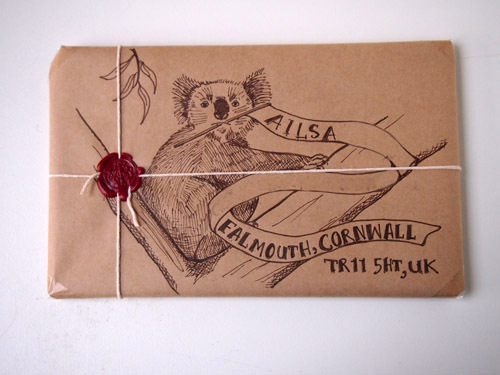 The best way to find out about these projects is to subscribe to my free email newsletter, which includes monthly mail-art templates, and the tips, projects and ideas around slow-living activities. 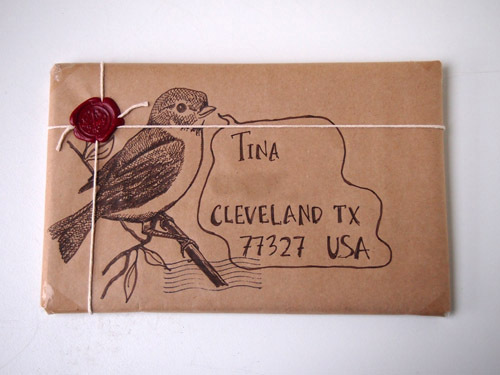 If you're in the mood for even more letter-writing inspiration, I want to remind you about my letter-writing and mail-art e-course, "The Most Beautiful Letter You Have Ever Written."